Dr. Shelina Harji, Dr. Houshyar Ghandi, Dr. Reza Aran, Dr. Afarin Pahlavan and Dr. Afshin Moghaddam have decades of combined experience in cosmetic and restorative dental excellence. Our dentists have established a reputation for delivering world-class results with a gentle and compassionate touch, routinely developing lifelong relationships with Burnaby families through the transformation of individual smiles. The loyalty of the patients of Acu Dental speaks volumes about the value they place on our unique and caring dentists. 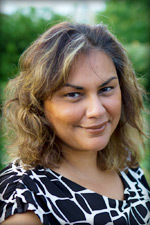 Dr. Harji, General Dentist, attained her dentistry degree at the University of Manitoba and specializes in restorative dentistry techniques such as crowns/bridges. Dr. Harji enjoys giving back to the community through volunteer work. 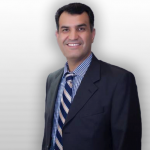 Dr. Reza Aran, a Certified Specialist in Orthodontics, is a fellow of The College of Dental Surgeons of Canada. He earned his Doctor of Dental Surgeon (D.D.S) from the University of Shiraz in Iran, his Doctor of Dental Medicine (D.M.D) with honors and Master of Craniofacial Science and specialty degree in orthodontics and dentofacial orthopedics from UBC. His experience in preventive, restorative and cosmetic dentistry built a strong foundation in his approach to offering a healthy, functional, and aesthetic bite and smile for his orthodontic patients. Dr. Afarin Pahlavan, General Dentist, has earned her Doctor of Dental Medicine (D.M.D) degree from the University of British of Columbia and also holds a Bachelor of Science degree (B.Sc.) specializing in Life Sciences from UBC. 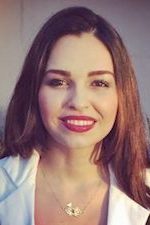 She enjoys every aspect of dentistry from restorative to cosmetic and even surgical procedures and has all the enthusiasm to serve the patients to the best of her ability in order to keep them pleased and satisfied. Dr. Pahlavan is an active member of The Vancouver & District Dental Society (VDDS), British Columbia Dental Association (BCDA) and the Academy of General Dentistry (AGD). Office Manager Sofia and the Acu Dental administrative and professional dental support team strive to make each and every appointment efficient and enjoyable for our patients. Whether it’s scheduling, patient education, or helping you with your financial arrangements or insurance plans, our team is proud to serve. Acu Dental & Orthodontics is proudly owned by Dr. Shelina Harji and Dr. Amin Shivji.